Handmade Gift Feature & GIVEAWAY with Santore Company! ~ Diane's Vintage Zest! Handmade Gift Feature & GIVEAWAY with Santore Company! It's the second day of the "25 Days of Handmade Gifts" and I have a two-in-one for you! The lovely Kat from Santore Company AND Petite Santore is sharing her wonderful goods with us. I am totally in love with her reversible headbands for myself, and I knew I had to share these unique little creations for babies and little girls. They're adorable! She was so, so nice at the Patchwork Show last week and has given us a lot of info about her company. Not only that, she has given the chance for one of my lucky readers to win a beautiful leather bow AND a discount code for all of you, perfect for your holiday shopping! But first, find out all about Santore Company with a bunch of interesting tidbits, including how she came up with her shop name! I am a so-cal native and have always been interested in detail, design, and fashion. I grew up reading fashion magazines with my girlfriends every day and thrifting to find unique things to wear and accessorize with. My mom had a fairly successful clothing line, and was also a manufactures sales rep. My dad worked finance for the Broadway department stores and was a store manager. So, I was constantly around the garment industry, market centers, and retail stores. Previous to this venture, I worked 12+ years with a small artistic clothing and accessory line. I assisted in the development and growth of this line, creating products that are sold in boutiques across the country. After the birth of my daughter it was important that I switch gears to be able to work while be at home with her. In my personal time (like I have much of that with a 2 year old!) I love to snowboard, practice yoga, cook, garden, and design. This is a twofold answer for me....When deciding on names I came across a beautiful random post on Etsy. This crafter said something to the effect of, if she made something herself she should be proud to put her name on it. This made me think of the story of my grandfather and grandmother immigrating to America. My grandfather changed his last name from "Santoro" to "Santore" to be more lets say "Americanized". So, when I was in my business development and thinking of names, both of these stories influenced my decision on Santore Company. It felt like a nice decision to honor to my heritage and use the family name for quality, American made products. There's Kat on the left! Why did you start making goods for Santore Company? I really wanted to figure out a way to be home with my daughter while fulfilling my creative needs and supplying an income. With experience in the garment/accessory industry it seemed natural to develop a product line. 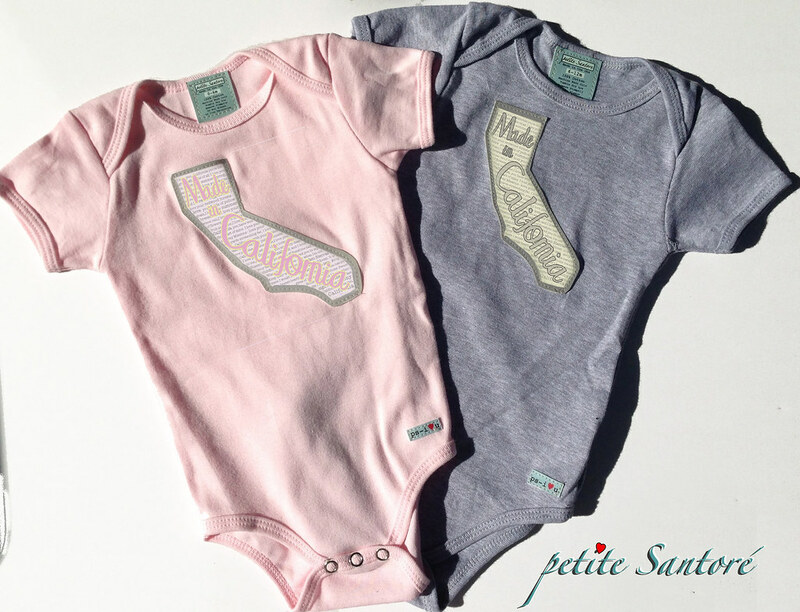 Petite Santore came first… A collection of clothing and accessories for babies and kids. This clothing line takes my multi-media artwork and translates it into wearable art. The collection includes items with an image/art patch which has been designed, created, and carefully sewn onto each of the garments. This process was developed at my former job. As a parting gift, my employer graciously gave me the rights to create a children's line in the process we developed. Santore Company happened because I had a personal desire for quality hair accessories. I have always been a hair jewelry kind of gal, and being a new mom I honestly needed help in the hair department. I had a hard time finding great accessories on the market for hair that were easy to wear, modern, and fun. I wear nice jewelry, carry a nice bag, and want my hair accessories to be just as unique and quality made. I became excited to develop products just for this. I wear all of my products and it is essential that all the headbands are super comfortable to wear all day. I also develop the styles to be very versatile because most are reversible! I LOVE LOVE LOVE all of my headbands, I am a hair accessory girl. I love how utilitarian a headband is. It is easy to wear, functional, and looks great! I honestly wear one almost everyday. From yoga to the store to playdates to dinner at our favorite mexican restaurant. It is the perfect accessory for a mom or any busy gal. For Petite Santore my brand new "Made in California" design, For Santore Company its hard to say because hair accessories are so personal to the buyer. People really seem to love all the headbands in the antique gold and antique silver colors right now. These leathers are glam and vintage all in one, which I think works with so many outfits casual to fancy. On the kids line I find image inspiration from favorite children’s stories, music, nature, vintage design, and of course my daughter and her adorable friends. 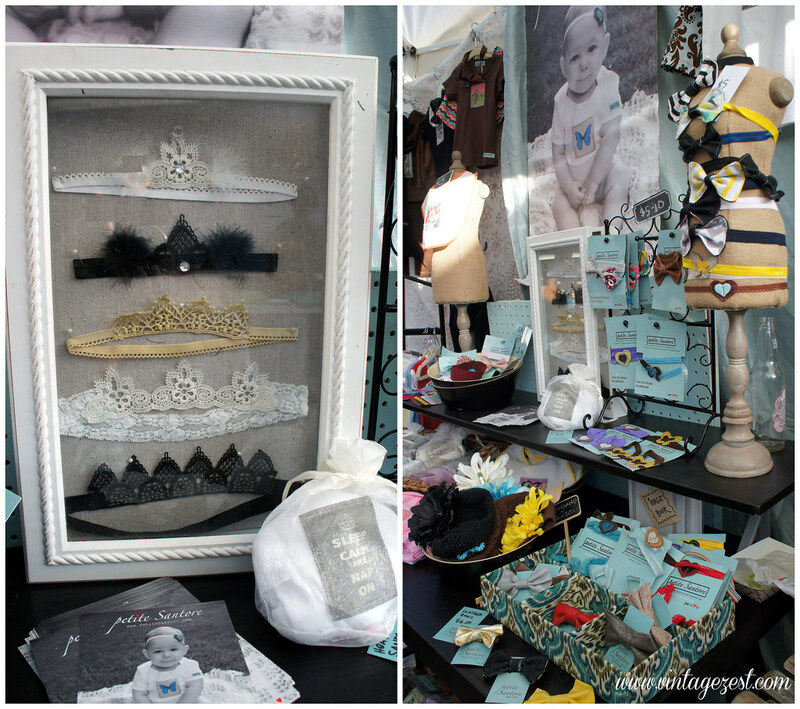 For my hair accessories: fashion, vintage style, home decor, nature, customer suggestions and my stylish friends! Every item I make is unique. The artfulness of the designs and color combinations I use are really different from whats out on the market. The hardest thing I am learning is to compartmentalize my time. It is really hard to develop a business with a very active toddler. There is more to do in a day than I can realistically accomplish. I just try my best to be present, be organized, and enjoy every moment. YES! Working time is normally 2 weeks on special orders. When is the last day I can order in time for Christmas Day? 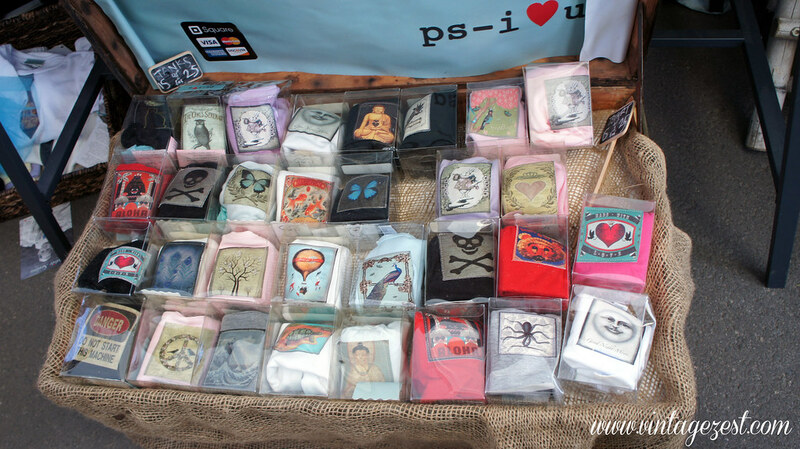 I will also be at Patchwork Santa Ana, booth 96 (off of second street). I will also be showing at a unique private boutique /holiday show in Montrose, Ca (just north of Glendale). Customers may privately contact me if they are close to the area and interested. It is really important to me to create American made products that stand the test of time. I use locally sourced materials and garments whenever possible. I truly care about my products and hope you love them as much as I do. Now drumroll for the "extras!" 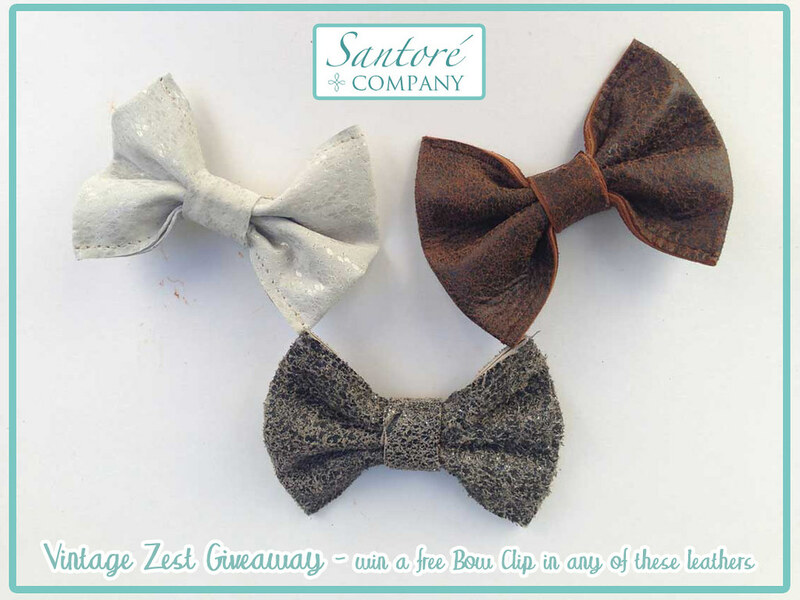 First up, the giveaway where Kat is gifting a Leather Bow in your choice of White Animal, Distressed Brown, or Antique Silver on an Alligator Clip ($20.00 value). Just follow the instructions in the Rafflecopter widget below. Be patient because it takes a while to load! For those of you who aren't lucky in the giveaway (or even if you do and want to buy more! ), Kat is also giving my readers some specials for her shops! Free shipping for any special orders: Use code SHIPFREEXMAS in email. 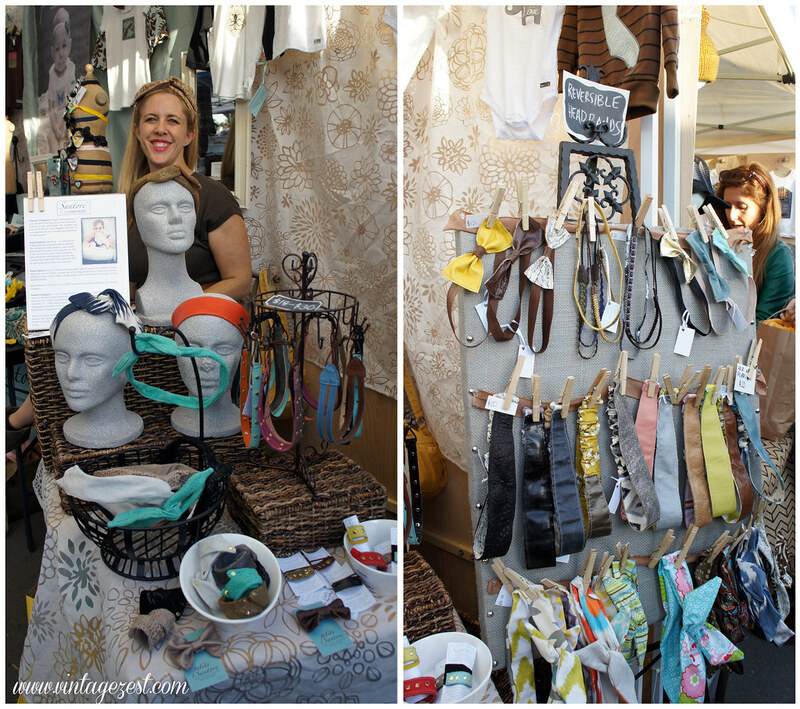 Now, I'm going to peruse some of the headbands that I was trying on at Patchwork. It's so hard to decide with so much gorgeousness! 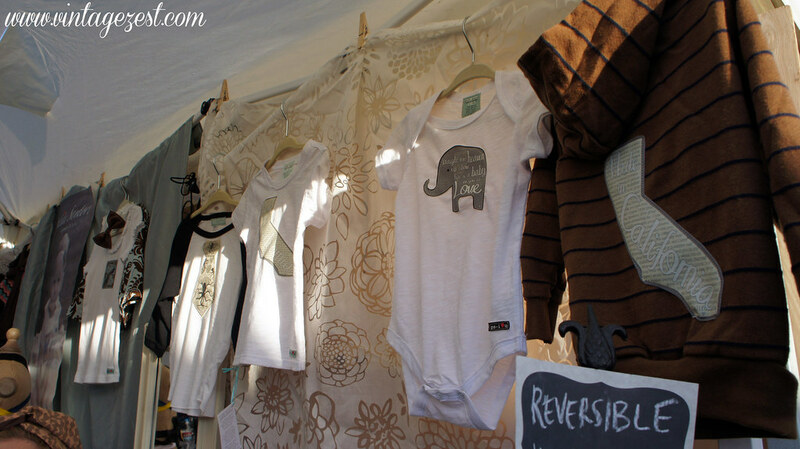 love the little girl's chevron outfit from her etsy shop! 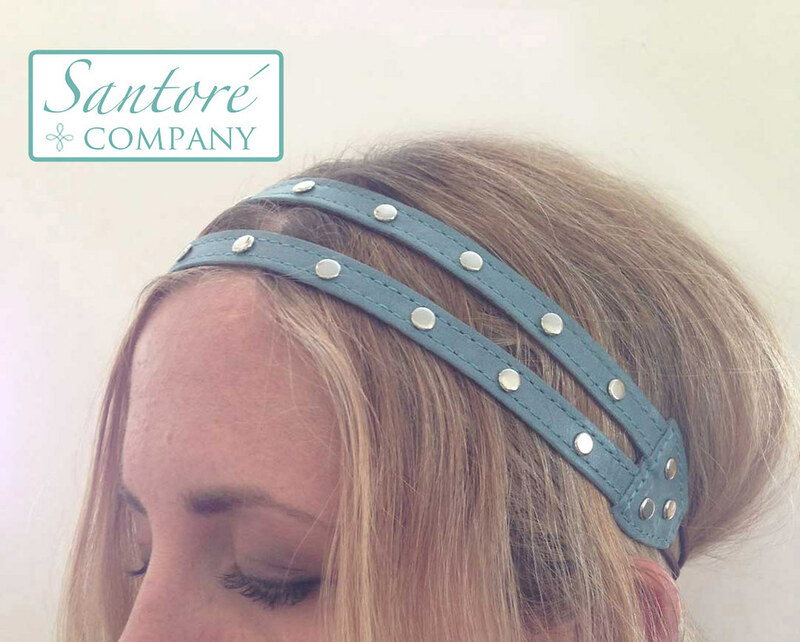 Love the leather headbands from her company shop! I'm loving the blue butterfly tee from her shop! I'm loving the Made IN CA onesie from her etsy shop!